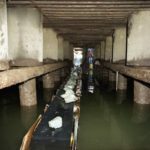 Pioneering a superior and unique underwater restoration system. 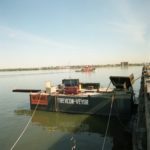 The patented TREVCON-VEYOR® offers you the most progressive and effective restoration system for stabilizing pilings and bulkheads weakened by erosion, sheet-pile deterioration, or dredging. 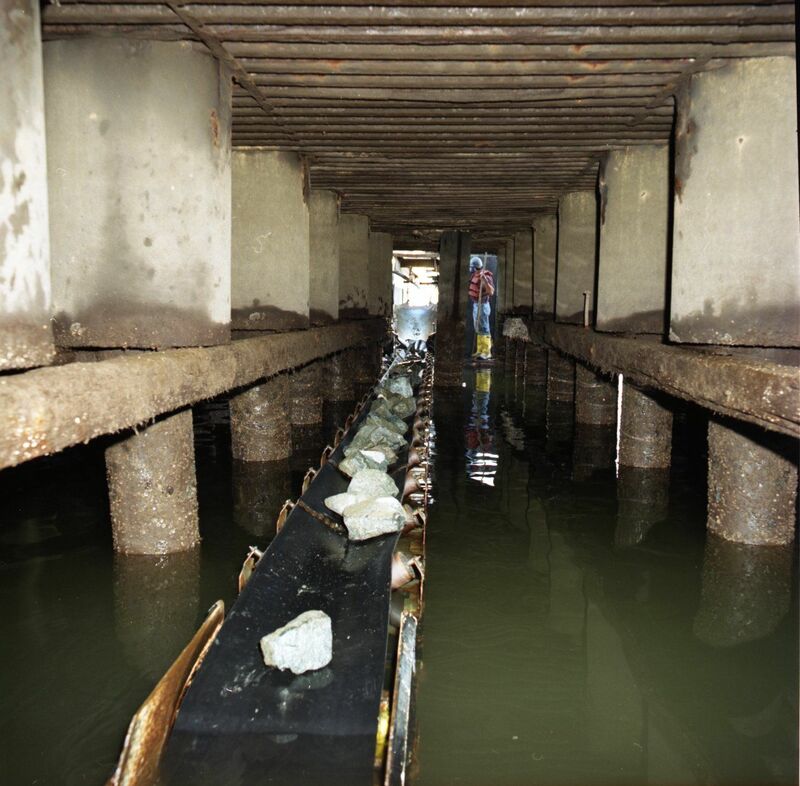 The flexible barge unit uses a partially submerged conveyor system to place reinforcement stone directly at previously unreachable pile and bulkhead bases. Easily transportable via water or land, this extraordinary apparatus allows us to work without using dock space and interrupting your daily operations. 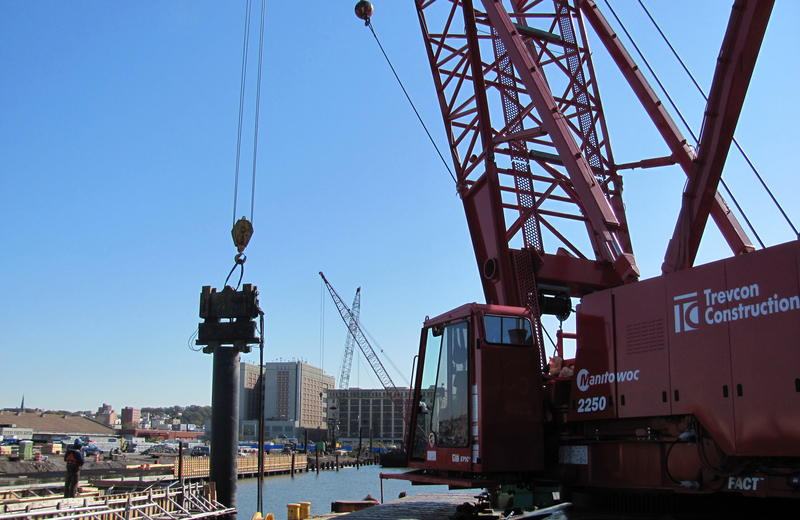 Examples of our success include pier work around the New Jersey ports in Newark and Elizabeth. 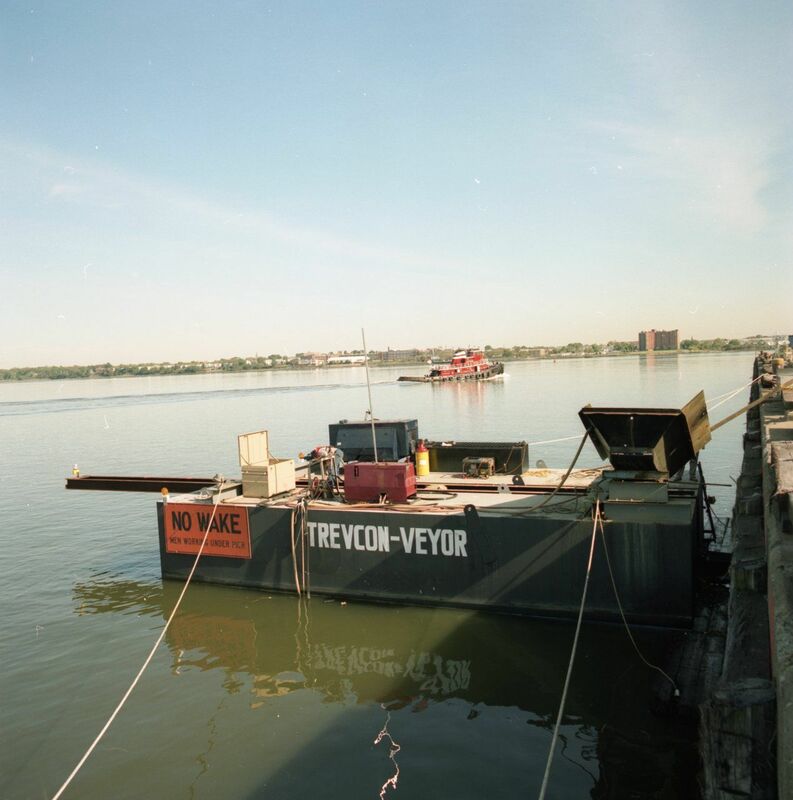 In addition, the TREVCON-VEYOR® will also enable us to repair and prevent any future damage to these piers caused by heavy currents, dredging and propwashing. The inspiration for the TREVCON-VEYOR® lies in our client-focused approach. Its unique design enables us to complete our project without disrupting your operations and employing extensive construction work and expense.